Starting in 2015, all Windstar Cruises’ itineraries will feature a spectacular onshore private event, created exclusively for Windstar guests. These complimentary events are crafted to give guests an in-depth and authentic local experience that compliments their voyage. Private events include activities such as an after-hours tour and dinner under the stars in the magnificent Celsus Library of Ephesus or a private ballet performance in the famed Odessa National Opera and Ballet Theatre. 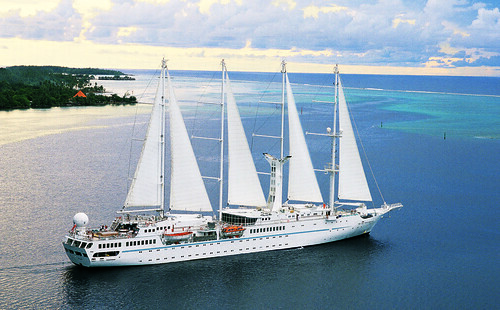 Windstar debuted its first exclusive private event on its Dreams of Tahiti voyage in May. The event, included on all 2014 sailings through the South Pacific, features an evening of entertainment with music and a dazzling performance by local fire dancers on a secluded island or “motu.” The evening also includes a dinner of local Tahitian cuisine with tender suckling pig slowly steamed in a traditional ”ahima’a” earth oven.